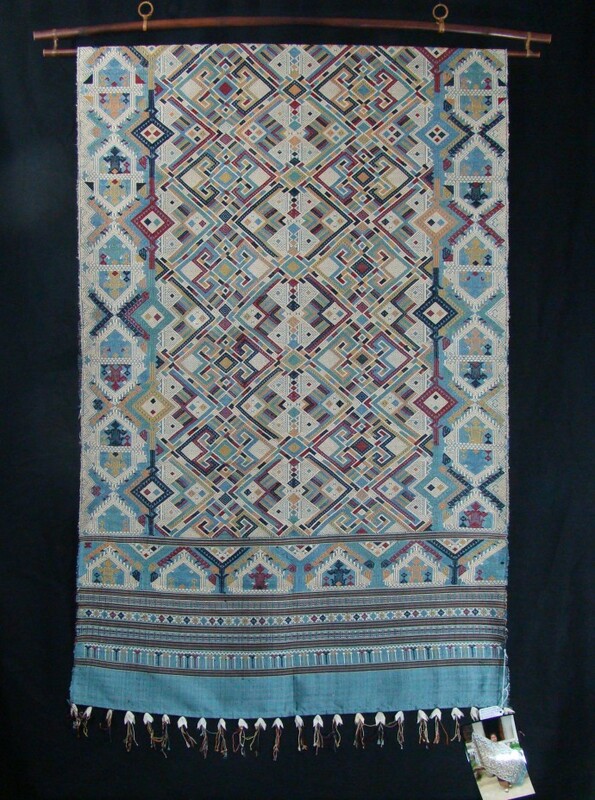 An unusual light blue, this large shaman cloth or ceremonial wedding blanket is an uncommon design. 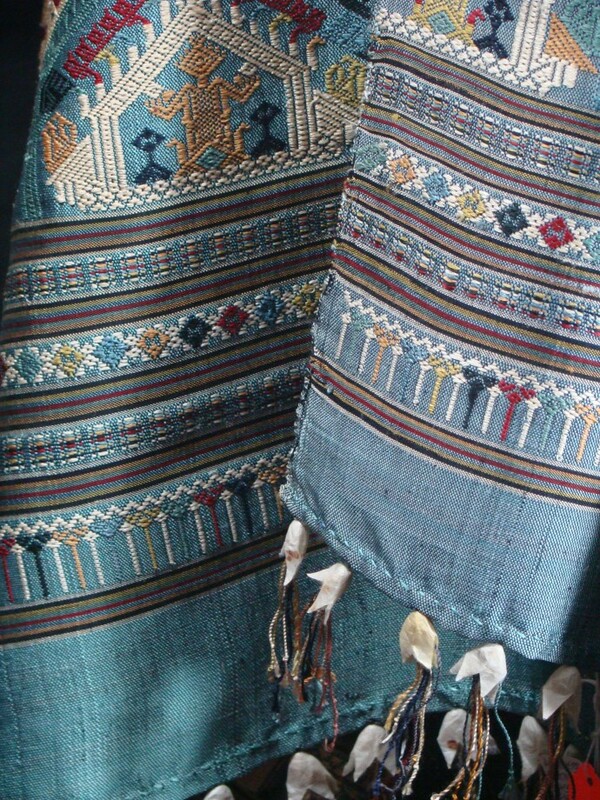 The center of the cloth is filled with naga (mythological river serpents) and giant spirits (very fierce protective spirits), and the borders and edges include wax naga boats with ancestor spirits in them. The wax naga boats are boats with naga heads on either end, a temple shape with candles on the roof, and an ancestor figure in the temple with offerings in his hands. These boats are mimicked in a ceremony in fall where people make boats of leaves and float candles in them down the river to send their wishes to the ancestor world. 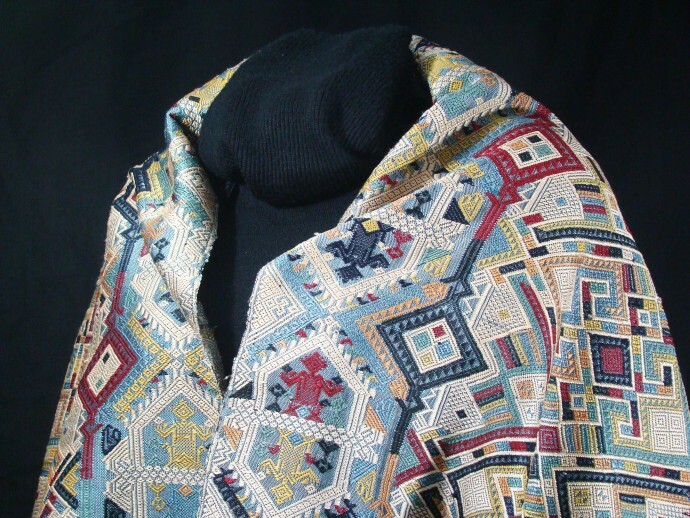 This textile is made from locally raised and reeled silk, handwoven, and naturally dyed. 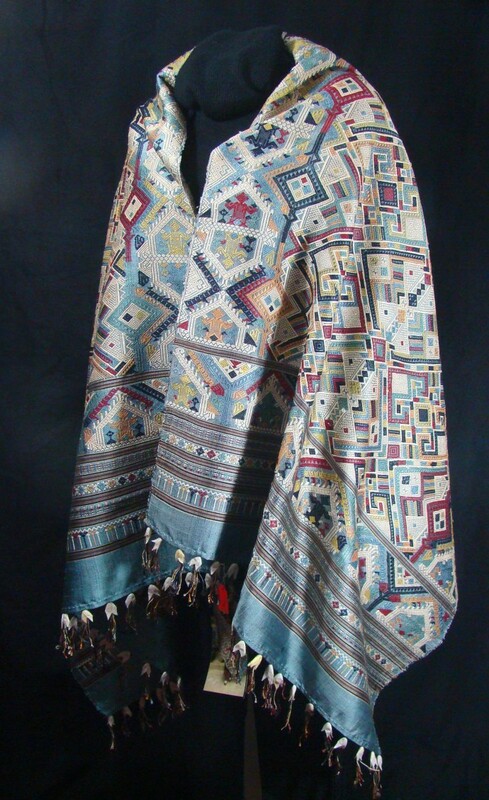 A photo of the natural dyer holding the textile comes with purchase. Size: 31 in. x 77 in.